As a kid, your Halloween plans are set: you're wearing a costume and going trick-or-treating. But as an adult, the plans get a little tricky: do you party all night or fall asleep early watching scary movies? 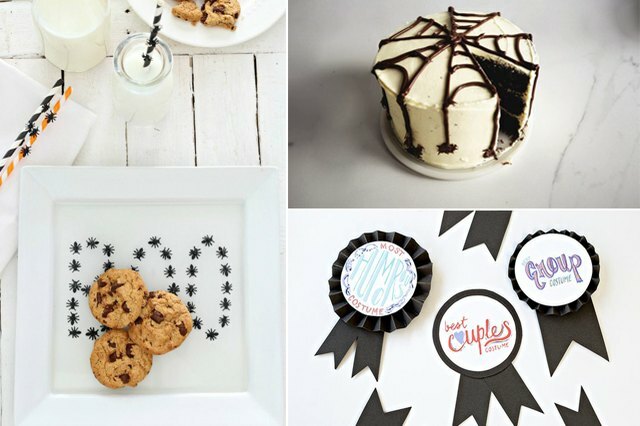 Have some grown-up fun that falls somewhere in between by hosting a dinner party. Set a spooky tone with simple decorations, and unveil a comforting meal that'll share the buffet table with an array of sweets. Add in a costume contest and some themed tunes, and you'll pull off a night that's fun without feeling over-the-top. This concrete pumpkin planter is a great option for outdoor decor: it's understated and cool, just like your grown-up guest list. 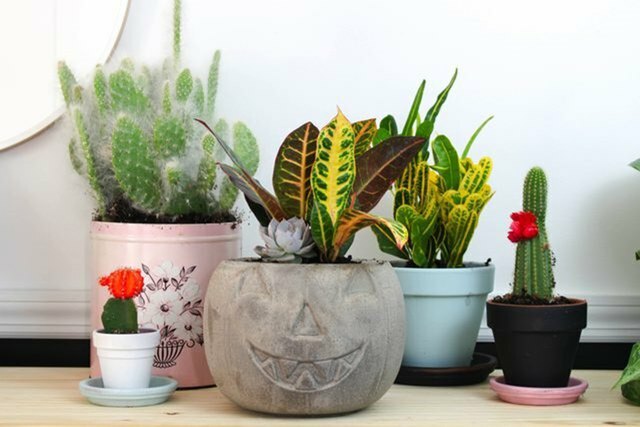 Go more macabre by planting something gruesome, or simply change up a potted plant for fall. Either way, this will last you year after year. 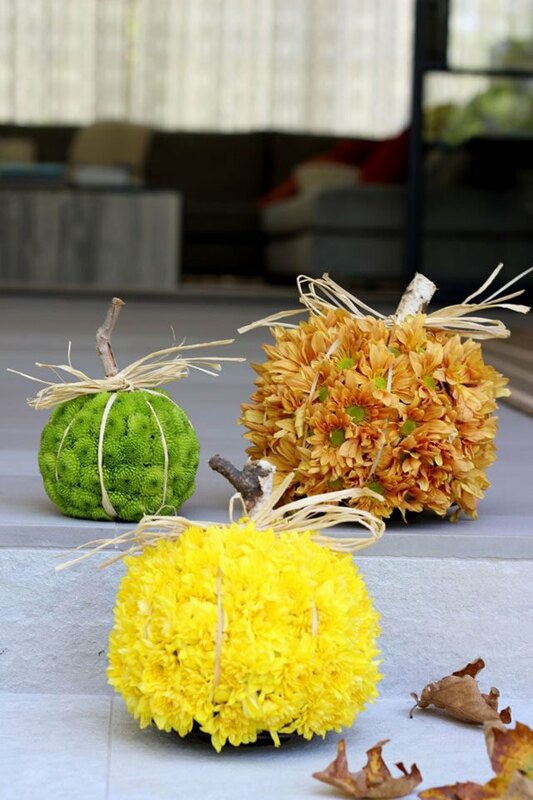 Although these lovely floral pumpkin arrangements aren’t the scariest Halloween decoration, they definitely will bring the colors and textures of fall to your entryway. 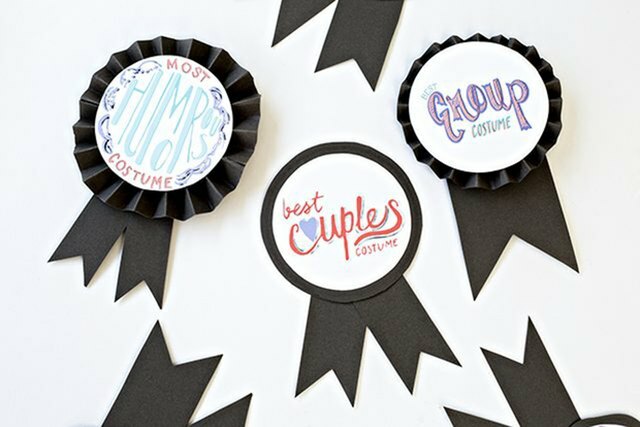 Ditch your carving tools in favor of foam balls, flowers and raffia, and you can turn your favorite autumn colors into the perfect seasonal adornment. 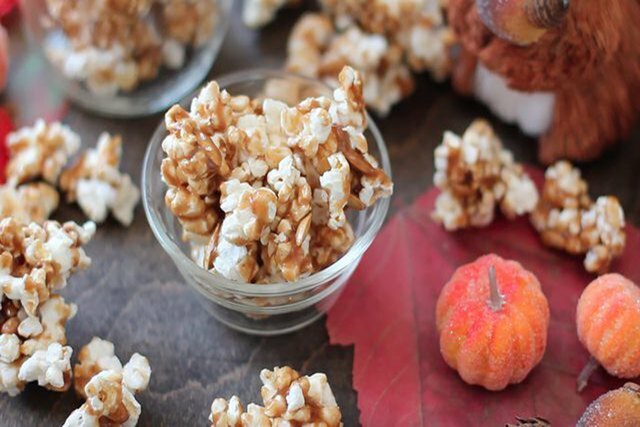 Greet your guests with a bowl of this pumpkin-spiced caramel corn as soon as they walk in the door, and there will be no looking back. Be sure that there are a few pumpkin seeds mixed in, and this will be one treat that will never rest in peace. 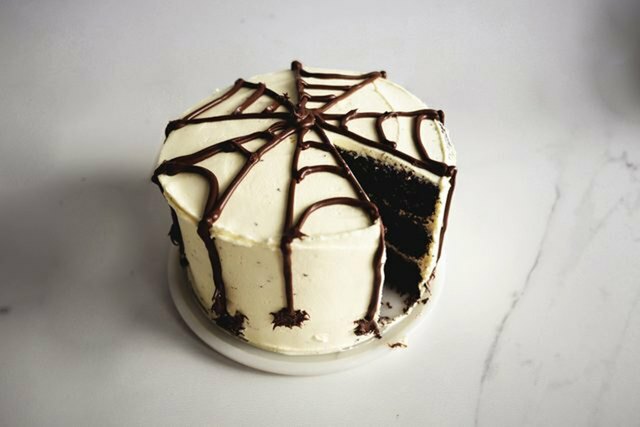 Since arachnophobia is a common fear, no Halloween party would be complete without spiders. 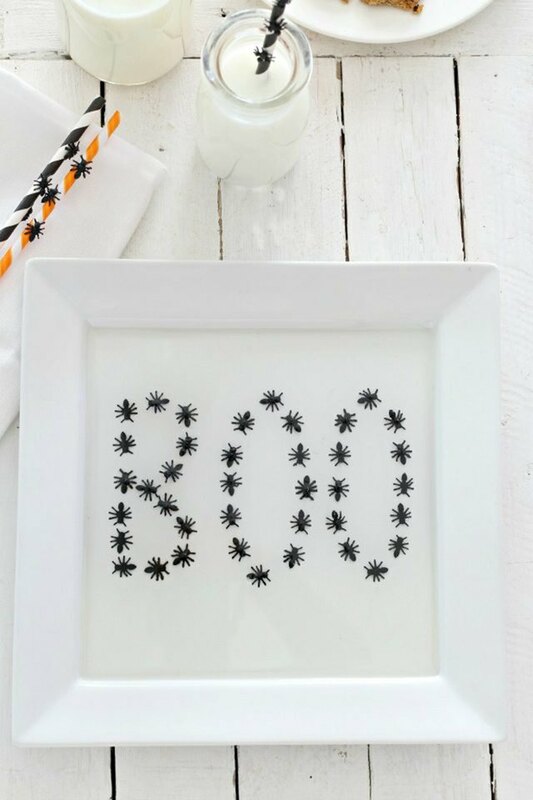 So why not make boo tray? Load it up with drinks, and watch as your guests get the heebie-jeebies as the spiders are uncovered. 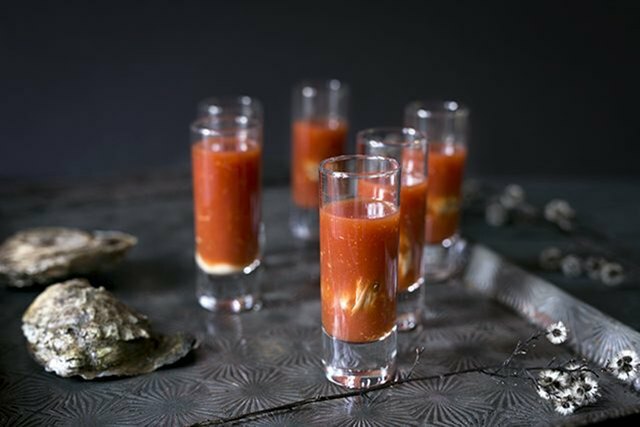 These delicious appetizers will have your friends saying, “I vant to drink your bloody Mary oyster shooters!” when they see them displayed on the buffet table. Just throw together the ingredients, shuck a few oysters and add a healthy shot of vodka — no trip to the blood bank required. Complete your table with a hanging branch centerpiece just spooky enough to make your guests step back before taking their seats. 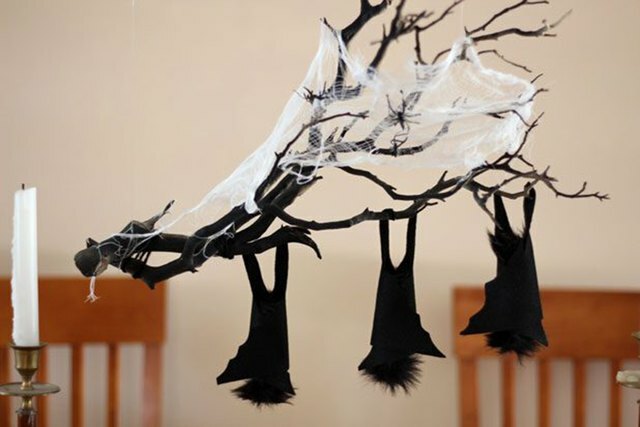 The gnarled branch, creepy hanging bats and shudder-inducing cobwebs look hauntingly realistic overhead. 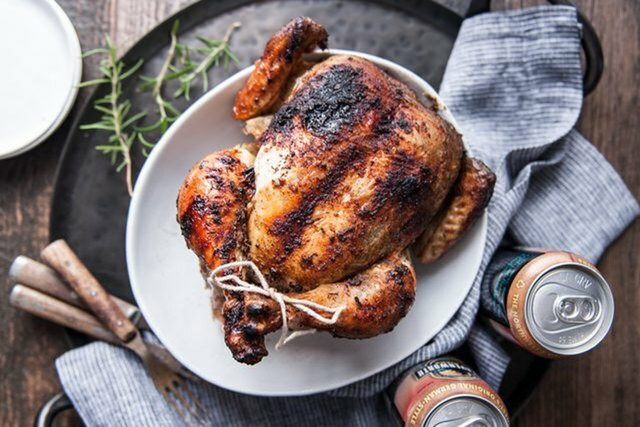 There isn’t much that can compare with the taste of roasted chicken, and this beer can chicken is guaranteed to clear plates. Serve it to a crowd, and the chicken's perfectly crisp skin and flavorful meat will make everyone think they’ve died and gone to heaven. 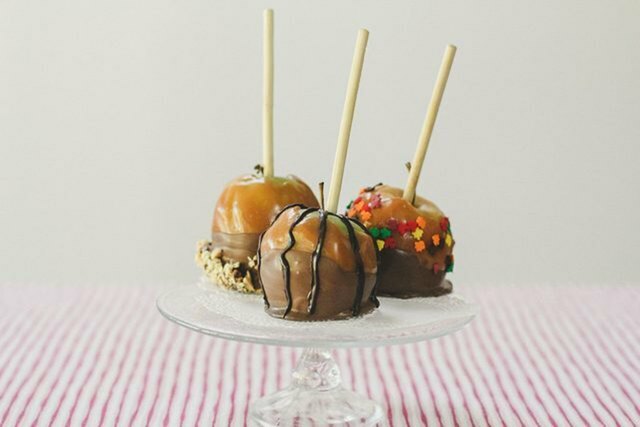 With this recipe for homemade gourmet caramel apples, you can create a customizable dessert that everyone can put their own spin on. Put out an assortment of sprinkles, chocolates and nuts, and let guests add their favorite toppings. There's no such thing as too much chocolate at Halloween. 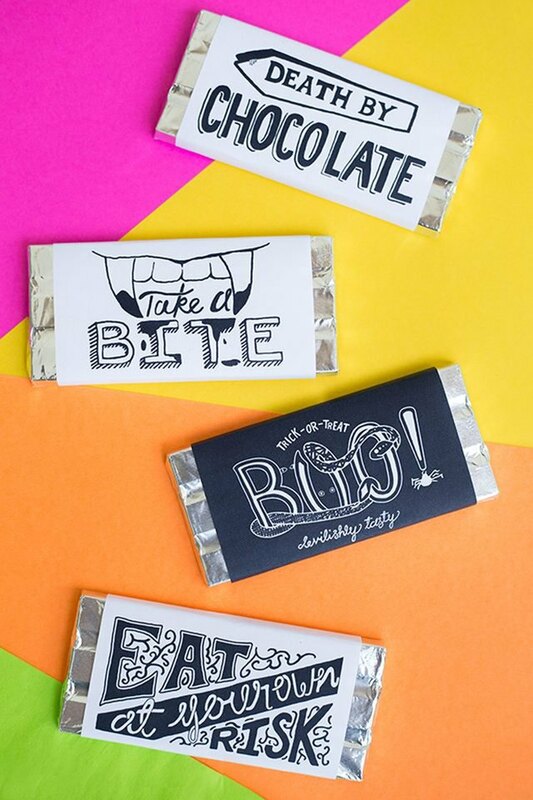 But ditch the same ol' packaging in favor of these printable Halloween themed wrappers. Wrap them around your favorite chocolates, and leave them on your buffet table for guests who can never pass up treats. If you worry that your guests will take too much candy, though, then this mummified head on a candy dish might make them hesitate before reaching for seconds. 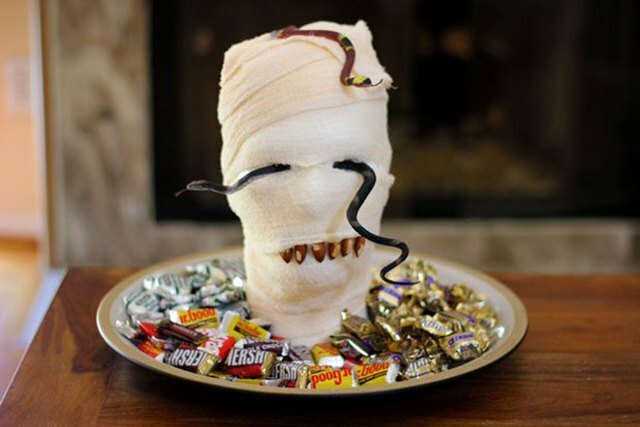 Wrap a styrofoam head in gauze, hot glue some creepy crawlies through the eyes, nose or mouth, and you'll have a guard for your prized candy pile. For the final nail in the coffin, serve your guests this rich dark chocolate cake with buttercream frosting. The hazelnut spiderweb decoration will have your guests drooling, slobbering or even howling at the moon. It’s that good.